We love to travel and are actually enjoying a little road trip this week down to Sussex and knowing that the boys are safe in the car is extremely important to us. 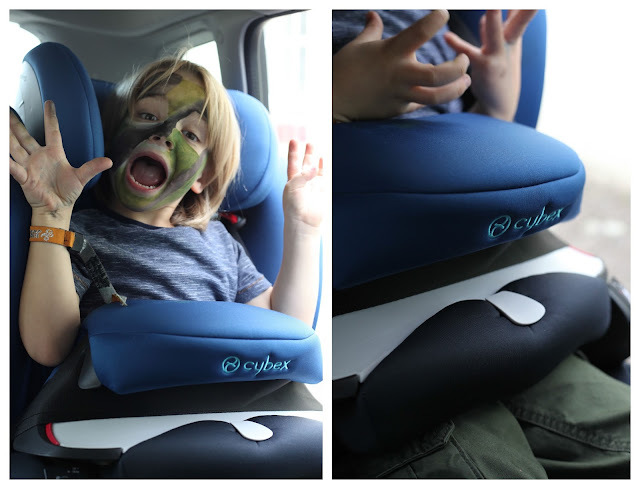 Mr A has recently outgrow his car seat and finding one for his age that would grow with him was little bit more tricky than we thought so when Cybex got in touch to ask if we would like to review the Cybex Pallas M we couldn't wait. The Cybex Pallas M is perfect for those moving up in size as it is a 2 in 1 seat that can see your child from 3yrs old all the way to 11years old. 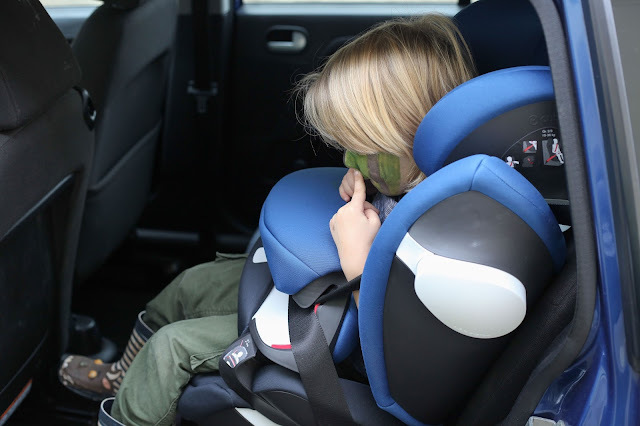 It also has some really impressive design features that make it stand out from the rest of the carseats on the market such as a one-hand adjustable impact shield which also reduces the risk of neck injuries without confining the child and a 3-position reclining headrest which also prevents the child's head from falling forward while asleep. From a parents point of view what I really love about this carseat is how comfortable Mr A is and how happy he is to sit in it, not one complaint as with our last one it was a constant battle as he didn't like the straps as the rubbed or he felt confined. 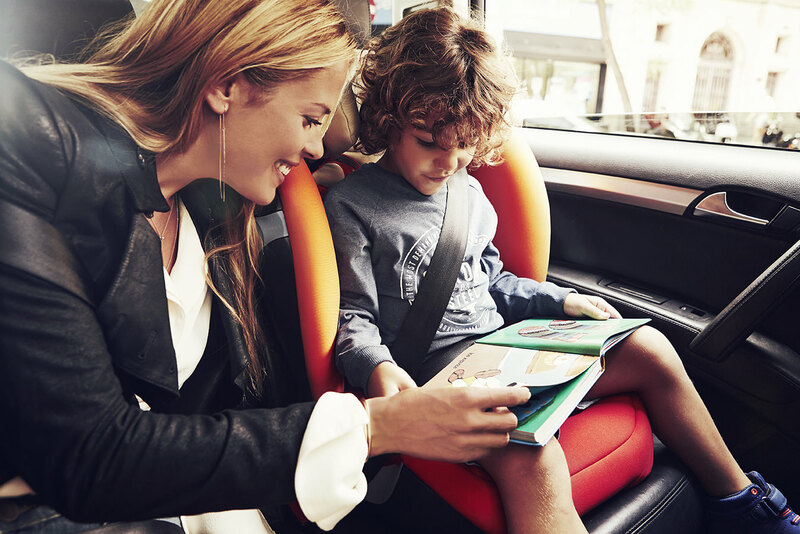 The fabric of the Cybex is really soft and has a built in optimised ventilation system to help maintain a comfortable body temperature at all times. 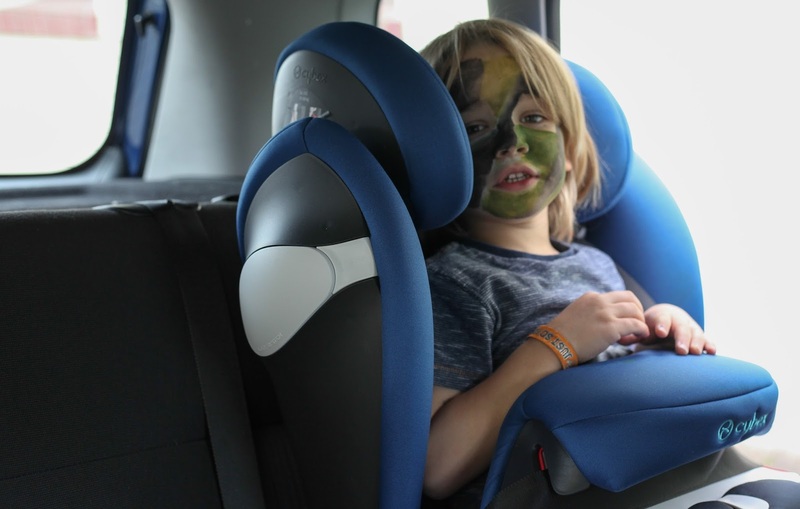 The Cybex Pallas M Fix which is comparable with ISO-Fix retails at £260 while the Pallas M is £230 - and like I said they are extremely well made, durable and very comfortable - in fact it's the only car seat Mr A has been more than happy to go in. What a lovely seat - we need to get a new one for our 5 year old so I'll look out for Cybex! What a cosy looking car seat. I'll have to take a closer look at this one the next time we're in the shops as our current seat doesn't give as much head support as we'd like on long car journeys. oh this looks like a great car seat! Will keep it in mind when we need a new one! That does look like a really good car seat & really comfy too, which isn't always the case! It looks really safe, cosy and modern.